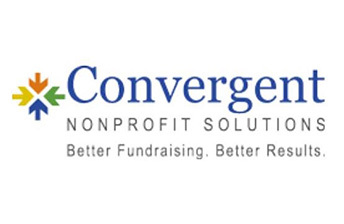 Convergent Nonprofit Solutions is the merger of five respected national nonprofit fundraising firms, comprising dozens of the most experienced nonprofit experts in the country. Convergent’s team of experienced nonprofit fundraising consultants provides comprehensive campaign management services that minimize the burden on your staff. We can manage the day-to-day details of your campaign so that you can focus on your own full-time job. We make professional presentations to each funding prospect, detail a customized investment proposal, and actually make the “ask,” minimizing the burden on your volunteers. We do the heavy lifting and strategically focus your volunteer leadership on a small number of tasks that can have an outsized impact on results—without a substantial time commitment. Our unique approach maximizes funding by complementing traditional emotional appeals with strong rational appeals for support. By demonstrating value, benefits, impacts, and ROI (return on investment), Convergent is able to get its clients to the front of the funding line in a competitive fundraising environment.